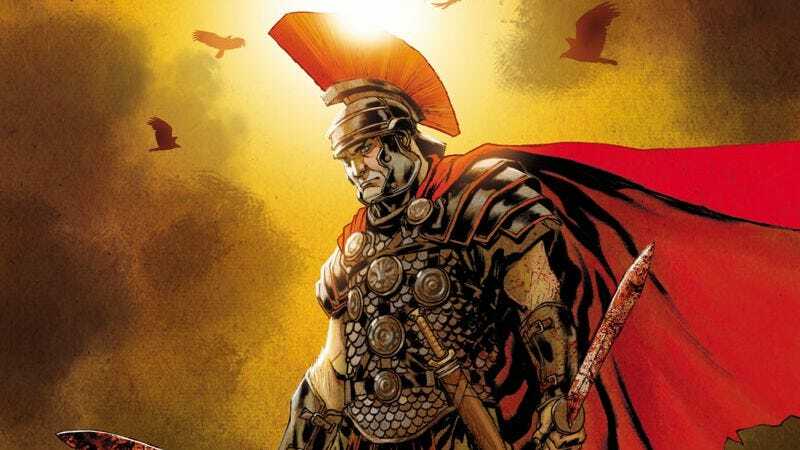 Valiant has become a reliable name for superhero comics, but it’s taking a different approach to the genre with the new miniseries Britannia, which transports readers to Ancient Rome to tell the story of Antonius Axia, the world’s first detective. A psychological thriller that combines elements of horror, fantasy, and historical fiction, Britannia follows the Roman veteran Axia as he’s sent to the titular locale to investigate supernatural occurrences, allowing writer Peter Milligan to explore a turbulent time in British history. Britannia is a tricky balancing act, but the creative team is dedicated to finding the human drama and staying true to the historical material while incorporating more fantastic genre elements. “I am particularly concerned about fitting all the mystery and magic of Milligan’s script into the historical context of the story,” says Ryp. “I want everything to fit, to make sure the fantasy unfolds, but without blurring the historical background.” Readers can learn more about Valiant’s newest hero when Britannia debuts in September, but in the meanwhile, Valiant has provided The A.V. Club with solicitation text, covers, and preview art for the first issue. From comics mastermind Peter Milligan and incendiary artist Juan Jose Ryp comes a psychological journey into terror, temptation, and bloodshed – presented in an all-new prestige format limited series!